Asbestos has been used through out the world because of its unique qualities. It’s heat resistant, corrosion resistant, fire resistant, strong, flexible, and doesn’t conduct electricity. The earliest known use of asbestos may have been coating candlewicks. The wicks would burn longer with the asbestos coating. From the 1950’s through the 1970’s asbestos was used in thousands of building materials. Asbestos is present in some types of insulation, fabrics, adhesives, and numerous other ACM (Asbestos Containing Material). After it was proven to create health risks, most products stopped using asbestos in its hazardous form. Asbestos can be classified as friable or non-friable. Friable asbestos is more dangerous than non-friable asbestos because it crumbles easily, and it can therefore become airborne faster and longer. Real damage can transpire over time if the fibers are inhaled. These fibers are shaped like fishhooks and can attach to the lungs and/or other organs. After prolonged exposure the body can’t break down these fibers. The health risks include asbestosis, mesothelima, and lung cancer. Most symptoms from exposure don’t arise for 20 to 50 years. OSHA (Occupational Safety and Health Administration) has set federal standards that must be referred to when owners and employers come in contact with asbestos. This is where we come in. We have the required federal standards and safety programs at our disposal for your benefit. When it comes to inspecting, testing, and removing, CASI is dedicated to provide you with the best service. Some people exposed to asbestos develop asbestos-related health problems; some do not. Once inhaled, asbestos fibers can easily penetrate body tissues. They may be deposited and retained in the airways and lung tissue. Because asbestos fibers remain in the body, each exposure increases the likelihood of developing an asbestos-related disease. Asbestos related diseases may not appear until years after exposure. Today we are seeing results of exposure among asbestos workers during World War II. A medical examination which includes a medical history, breathing capacity test and chest x-ray may detect problems early. Scientists have not been able to develop a "safe" or threshold level for exposure to airborne asbestos. 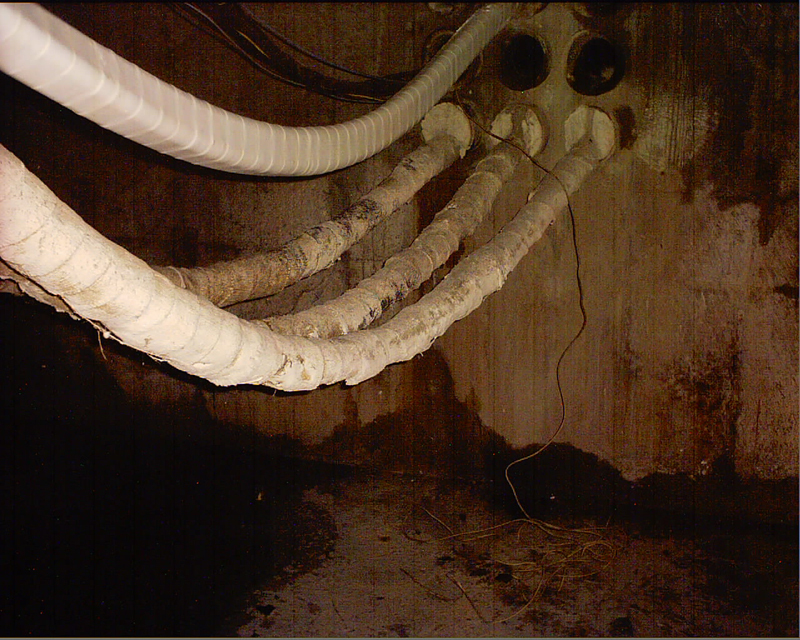 Ingesting asbestos may be harmful, but the consequences of this type of exposure have not been clearly documented. Nor have the effects of skin exposure to asbestos been documented. People who touch asbestos may get a rash similar to the rash caused by fiberglass. The EPA's Worker Protection Rule (40 CFR Part 763, Subpart G) extends the OSHA standards to state and local employees who perform asbestos work and who are not covered by the OSHA Asbestos Standards, or by a state OSHA plan. The Rule parallels OSHA requirements and covers medical examinations, air monitoring and reporting, protective equipment, work practices, and record keeping. In addition, many State and local agencies have more stringent standards than those required by the Federal government. People who plan to renovate or remove asbestos from a building of a certain size, or who plan to demolish any building, are required to notify the appropriate federal, state and local agencies, and to follow all federal, state, and local requirements for removal and disposal of regulated asbestos-containing material (RACM). FACT TWO: Prevailing asbestos levels in buildings -- the levels school children and you and I face as building occupants -- seem to be very low, based upon available data. Accordingly, the health risk we face as building occupants also appears to be very low. FACT THREE: Removal is often not a school district's or other building owner's best course of action to reduce asbestos exposure. 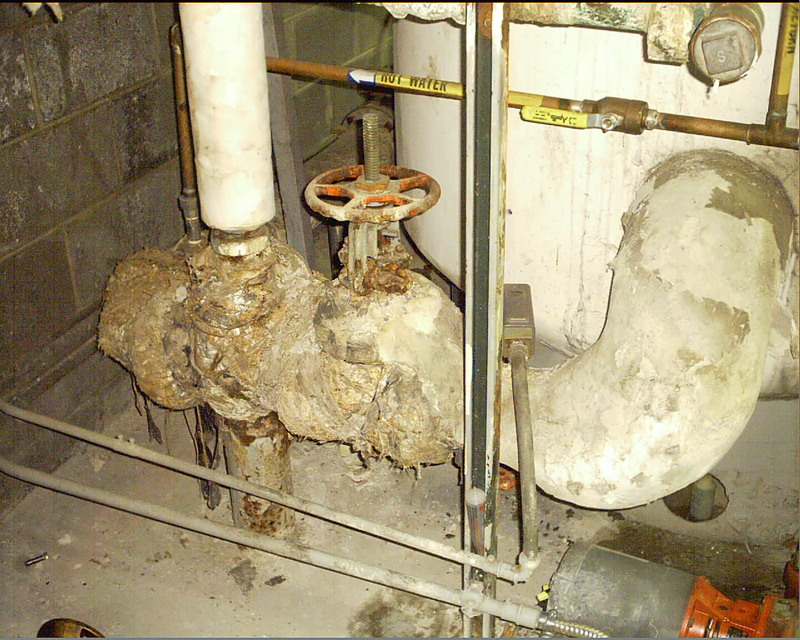 In fact, an improper removal can create a dangerous situation where none previously existed. Are some kinds of asbestos more hazardous than others? How do I tell if I have an asbestos problem? Asbestos is a mineral. It is mined in much the same way that other minerals, such as iron, lead, and copper, are. Asbestos is composed of silicon, oxygen, hydrogen, and various metal cations (positively charged metal ions). There are many varieties of asbestos: the three most common are chrysotile, amosite, and crocidolite. Chrysotile fibers are pliable and cylindrical, and often arranged in bundles. Amosite and crocidolite fibers are like tiny needles. The first commercial asbestos mine -- a chrysotile mine -- opened in Quebec, Canada, in the 1870's. Crocidolite asbestos was first mined in South Africa during the 1980's. Amosite asbestos also comes from Africa and was first mined in 1916. Unlike most minerals, which turn into dust particles when crushed, asbestos breaks up into fine fibers that are too small to be seen by the human eye. Often individual fibers are mixed with a material that binds them together, producing asbestos containing material (ACM). When asbestos fibers are in the air, people may inhale them. Because asbestos fibers are small and light, they can stay in the air for a long time. People whose work brings them into contact with asbestos -- workers who renovate buildings with asbestos in them, for example -- may inhale fibers that are in the air: this is called occupational exposure. Workers' families may inhale asbestos fibers released by clothes that have been in contact with ACM: this is called paraoccupational exposure. People who live or work near asbestos- related operations may inhale asbestos fibers that have been released into the air by the operations: this is called neighborhood exposure. Damaged ACM is more likely to release fibers than non-damaged ACM. In a 1984 survey, EPA found that approximately 66 percent of those buildings that contained asbestos contained damaged ACM. If ACM, when dry, can be crumbled by hand pressure -- a condition known as "friable" -- it is more likely to release fibers than if it is "non-friable." 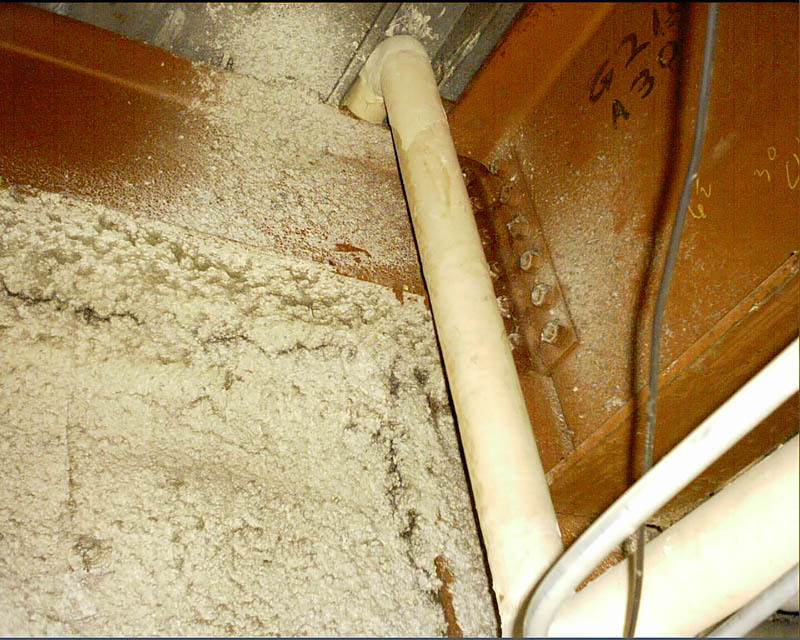 Fluffy, spray-applied asbestos fireproofing material is generally considered "friable." Some materials which are considered "non-friable," such as vinyl-asbestos floor tile, can also release fibers when sanded, sawed or otherwise aggressively disturbed. Materials such as asbestos cement pipe can release asbestos fibers if broken or crushed when buildings are demolished, renovated or repaired. ACM which is in a heavy traffic area, and which is therefore often disturbed, is more likely to release fibers than ACM in a relatively undisturbed area. While it is often possible to "suspect" that a material or product is/or contains asbestos by visual determination, actual determinations can only be made by instrumental analysis. Until a product is tested, it is best to assume that the product contains asbestos, unless the label, or the manufacturer verifies that it does not.